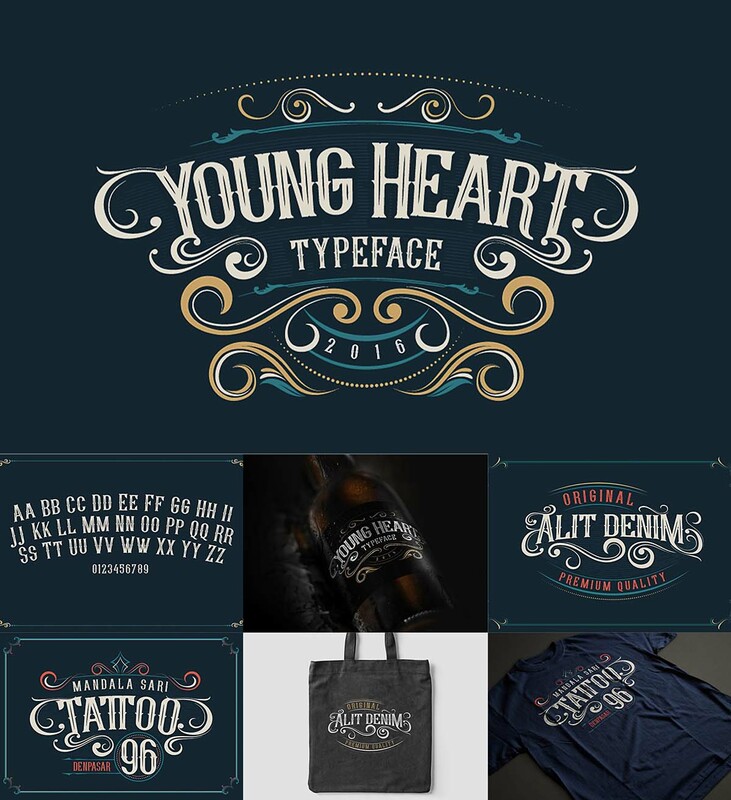 Introducing Young Heart Typeface western style display font. You can use this font for various purposes. such as logo, t-shirt, posters, lable, letterhead, book cover and etc. 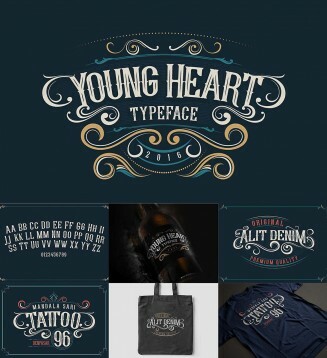 Tags: custom, decorative, Elegant, flourish, font, logo, logotype, modern, ornamental, period style, rock, serif, signage, swirl, tattoo, typeface, victorian, western.